One season down. And many more to go. Rate for 100,000 hours and backed by a 5-year warranty. Thank you for your recent purchase of Oelo Lighting™, manufactured by Oelo, LLC. We believe the Oelo product line to be the highest quality and most attractive permanent structural lighting system available, and we stand behind our products with one of the best warranties in the industry. We have attempted to write this warranty in clear, easy-to-understand terms, including the limitations and restrictions, so you will fully understand the warranty we are making to you. The terms contained herein are subject to change without notice and if anything in this warranty is not clear to you, please call us at 970-212-3670 or visit our web site at www.oelo.com. If you are the original consumer purchaser (i.e., the property owner, not the installer or contractor) or the first transferee from the original consumer purchaser (Owner) of one of our lighting products, then you are entitled to the benefits of this warranty. We warrant that your Oelo lighting products are free from any manufacturing defects which materially affect their performance on your house during the coverage period and for the balance of the applicable warranty period listed below. THIS LIMITED WARRANTY IS VOID IF THE PRODUCT IS NOT USED FOR THE PURPOSE FOR WHICH IT IS DESIGNED. During the permanent structural lighting system coverage period of this warranty, Oelo will, at its option and subject to certain limitations, compensate you to either repair or replace products that Oelo determines are defective. 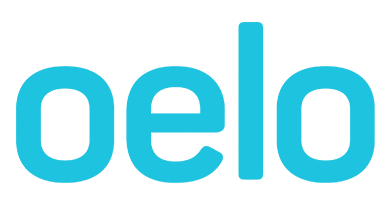 The determination of whether or not the product is defective shall be made by Oelo in its sole discretion with consideration given to the overall performance of the product. The compensation provided by Oelo is limited to the cost of replacing Oelo brand lighting products and the labor directly required to repair or replace such defective parts as reasonably determined by Oelo Lighting. Our compensation will not cover any underlayment, soffit, metalwork, sheetrock, flashings, or other related work. The Oelo permanent lighting system coverage period does not apply to damage caused by conditions or handling beyond our control, as further detailed below. LED board failure and lens clouding and yellowing. You can transfer this warranty one (1) time, anytime during the life of the warranty. For this warranty to be transferred, the new Owner must contact Oelo at 970-212-3670 within sixty (60) days after the date of the real estate transfer to obtain the benefits of this warranty. Proof of purchase of the Oelo lighting product and the installation date must be submitted at the same time. If the transfer takes place within the first year of full coverage, the second Owner is entitled to the same coverage as the original Owner. If the transfer occurs after the nonprorated period, the balance of this warranty shall be reduced to a two (2) year-period after the date of ownership change. If there is a manufacturing defect during this two (2) year-period, our compensation to the second Owner will be based only on the reasonable cost of replacement parts reduced by the amount of use the second (2nd) Owner and the original Owner have enjoyed from the original installation date through the date of your claim. Our warranty does not cover damage to Oelo products due to any cause not expressly covered herein. After our lighting products leave our manufacturing facility, they are subjected to conditions and handling beyond our control that could affect their performance. This warranty does not cover any problems with nondefective Oelo products caused by conditions or handling beyond our control. Some examples of conditions not covered by this warranty include:1. Acts of God, such as hail, lightning, strong storms (hurricanes) or winds over the maximum wind speed of 70mph, ice damming, or buildup on Oelo products.2. Damage or loss of the lighting products as a result of damage to or the failure of the underlying roofing or soffit structure.3. Foot traffic on your roof or damage caused by object(s) (e.g., tree branches) falling on your roof.4. Improper or faulty installation of your lighting products—installation must be in accordance with our written installation instructions and comply with local building codes.5. Shading, sun fade, or variations in the color of your Oelo lighting products or discoloration caused due to algae, fungi, lichen, or cyanobacteria.6. Inadequate roof drainage or backed up gutters.7. Settlement of the structure of your property or buckling or cracking of the structure over which your Oelo products are installed.8. 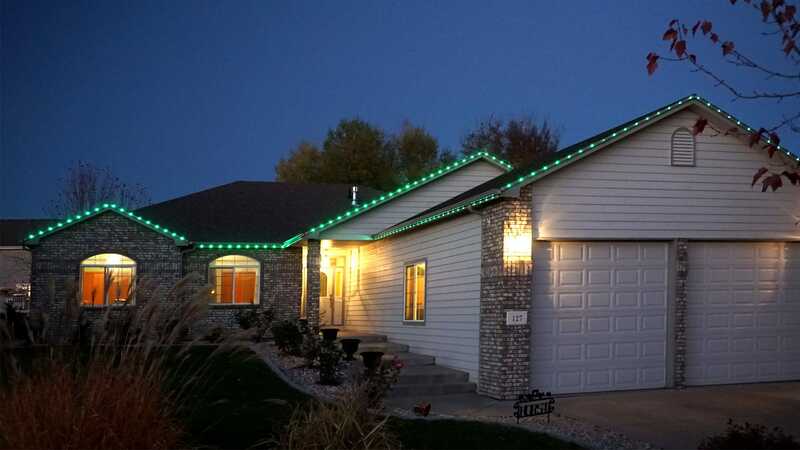 Leaks caused by preexisting conditions, structural failures(s), improper installation or damaged area(s) on or near the soffit which are not part of the Lighting system.9. Damage or loss to the lighting products caused by alterations made after completion of application, including structural changes, equipment installation, power washing, painting or the application of cleaning solutions, coatings, or other modifications.10. Improper storage, maintenance, service, handling, or other conditions beyond our control.11. Damage or loss caused by, or the cost to repair or replace, any Oelo lighting product.12. Improperly designed or installed gutter or downspout systems.13. Any costs that you incur which are not authorized in advance by Oelo.14. Loss or damage to the product caused by negligence, abuse, misuse, and/or mishandling of the product.15. Damage or loss due to fire, vandalism, or civil disturbances.16. Damage or loss due to power surges, improper power supply, electrical current fluctuations, corrosive environment installations, induced vibration, or harmonic oscillation or resonance associated with movement of air currents around the product. Under the terms of this Limited Warranty on Oelo Lighting products, the manner of Compensation is at Oelo’s sole discretion and may be issued in the form of cash settlement, material credit for Oelo products to an existing supplier of Oelo Lighting materials, repair of the product, and/or replacement of the product. Oelo reserves the right to utilize new, reconditioned, refurbished, repaired, or remanufactured products or parts in the warranty repair or replacement process. Such products and parts will be comparable in function and performance to an original product or part, as determined by Oelo in its sole discretion, and warranted for the remainder of the original warranty period. All costs must be preapproved by Oelo. Note: The prorated material cost will be determined by the cost of the lighting products at the original time of purchase. This warranty may not be changed or modified. No one, including any representative or employee of Oelo Lighting and any representative or employee of a contractor or installer, has authority to assume any additional liability or responsibility for Oelo or in any way modify or change this warranty. To make a claim under this warranty, you need to do so within thirty (30) days after you discover the problem. Just call us at 970-212-3670 or visit us at https://www.oelo.com. To fully evaluate your claim, we may ask you to provide, at your expense, pictures of your Oelo lighting products and/or samples for us to see and test. If you have any questions, do not hesitate to call 970-212-3670 or visit our website www.oelo.com. THIS WARRANTY IS EXCLUSIVE AND REPLACES ALL OTHER WARRANTIES, CONDITIONS, REPRESENTATIONS AND GUARANTEES, WHETHER EXPRESS OR IMPLIED, INCLUDING THE IMPLIED WARRANTIES OF MERCHANTABILITY AND FITNESS FOR A PARTICULAR PURPOSE, WHETHER BY STATUTE, AT LAW OR IN EQUITY AND IS LIMITED IN LENGTH TO THE EXPRESS WARRANTY PROVIDED ABOVE UNLESS A SHORTER PERIOD IS PERMITTED BY LAW.IN NO EVENT SHALL OELO BE LIABLE FOR INCIDENTAL, COMPENSATORY, CONSEQUENTIAL, INDIRECT, SPECIAL OR OTHER DAMAGES. OELO’S AGGREGATE LIABILITY WITH RESPECT TO A DEFECTIVE PRODUCT SHALL IN ANY EVENT BE LIMITED TO THE MONIES PAID TO OELO FOR THAT DEFECTIVE PRODUCT.THIS WRITTEN WARRANTY IS YOUR EXCLUSIVE WARRANTY FROM OELO AND REPRESENTS THE SOLE REMEDY TO ANY OWNER OF OELO LIGHTING PRODUCTS. OELO MAKES NO OTHER REPRESENTATIONS, WARRANTIES, OR GUARANTEES OF ANY KIND OTHER THAN THOSE STATED EXPLICITLY HEREIN. Contact 970-212-3670 or visit us at www.oelo.com/warranty. For this warranty to be transferred, the new Owner must contact Oelo at 970-212-3670, email us at LightYourSpace@oelo.com, or submit the digital transfer form (below) within sixty (60) days after the date of the real estate transfer to obtain the benefits of this warranty. Proof of purchase of the Oelo lighting products and the installation date must be submitted at the same time.